WIt seems to be a simple question but it has a multifaceted answer. Let’s dive in! What’s the hardest language to learn? The first thing to know when understanding what is the most difficult language to learn is that your language family tree matters! The Indo-European language family, for example, contains over 430 descendant languages, which are then subdivided into different branches, among them the Romance branch, the Germanic branch, and the Slavic branch. Each branch shares a common ancestor that can be traced back to early times. You probably have noticed words in distinct languages that may look or sound alike. This is because they stem from the same ancestral language (called “cognates”). In general, it’s easier to learn a language from the same ancestral language than from a completely different one. Spanish, French, Romanian, and Italian evolved from Vulgar Latin, sharing many cognates and other similarities, and they are collectively known as the modern Romance languages which make up the Romance Branch. On the other hand, the Germanic branch breaks into smaller categories such as the West Germanic, where English, German, and Dutch are placed, and the Northern Germanic (also known as Scandinavian), which includes Danish, Swedish, Norwegian, and Icelandic. Because of the common ground of related linguistic roots, it may be easier to learn a foreign language that belongs to the same group of your mother tongue. Conversely, the most difficult language to learn could be the one that has nothing in common with your native language. However, there are no guarantees here, because even though some languages may use the same alphabet and may have related spelling and grammar rules the pronunciation may be completely different! 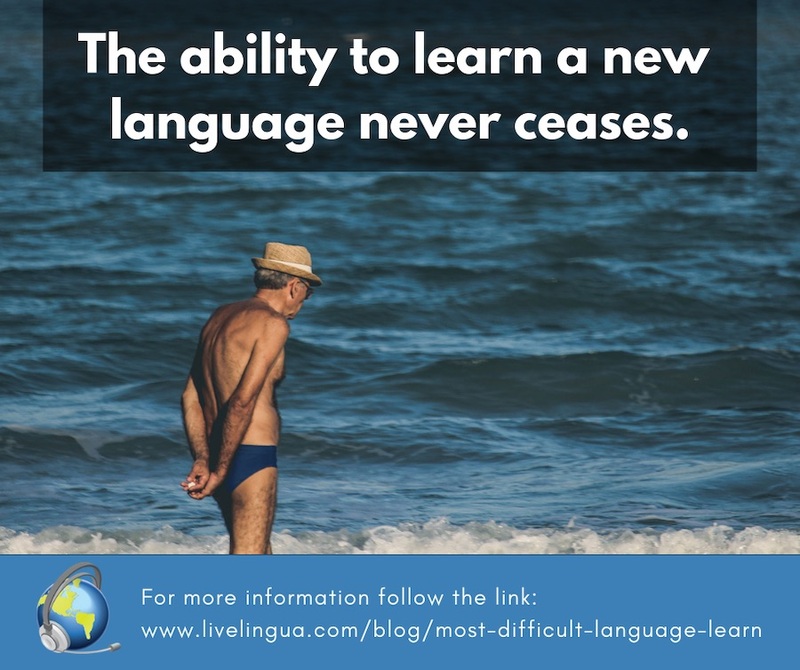 Difficulty can also come down to your determination to learn the language — if it’s a necessity, you’re much more likely to be dedicated to fluency! The U.S. Foreign Service Institute’s School of Language Studies has created a language difficulty ranking chart based on the length of time a student would take to acquire professional working proficiency in a desired language. Note that the ranking contains only the world’s most popular languages, which are then grouped into five general categories, and this rank mostly applies for native English speakers. 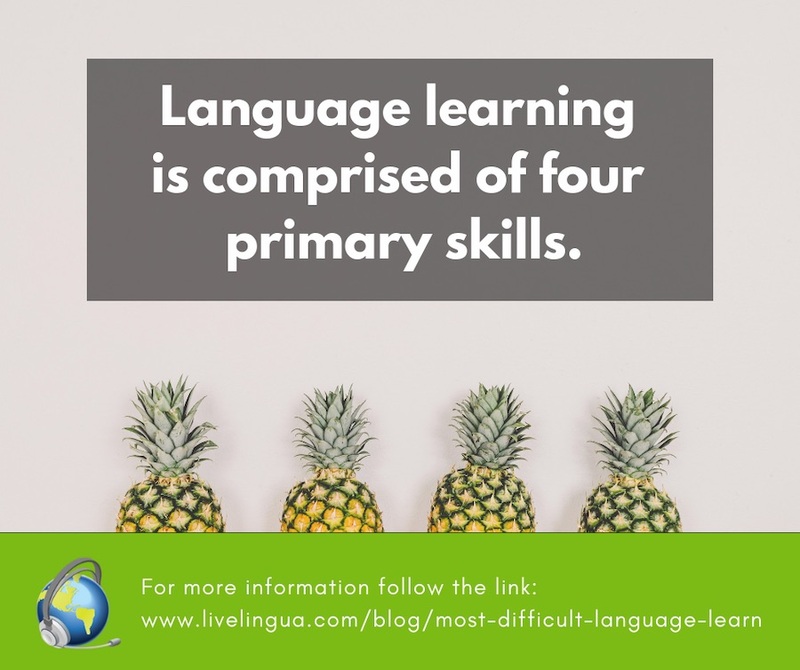 Also bear in mind that the total length for each person could vary according to their natural skills, their previous linguistic knowledge, and total time spent in the classroom. You can check the full language difficulty ranking here. The most difficult languages to learn for native English speakers according to the U.S. Foreign Service Institute of the U.S. Department of State are Chinese Mandarin, Chinese Cantonese, Japanese, Korean, and Arabic. On average, learning any of these would require you investing 2200 class hours or the equivalent of 88 weeks! Mandarin Chinese is the most commonly spoken language on the planet because China is the most populous country in the world. Despite it being the most difficult language to learn for many, there is at least no shortage of people to practice with. Which are the easiest languages to learn? If English is your mother tongue and you are looking into language lessons, the U.S. Foreign Service Institute’s School of Language Studies would recommend Spanish, Portuguese, Italian, French, Romanian, Norwegian, Danish, Dutch, and Swedish. You could be fluent in any of these in as little as 24-30 weeks! Language is a distinctive system of spoken and written communication that allows humans to interact with others. It is regarded as a very specific kind of human knowledge that comprises four language skills: reading, writing, listening, and speaking. You will find that some languages may be easier for you to read and others easier to speak. However, your level of proficiency in a particular language will be measured in terms of these four skills. The speed you go through the stages depends on various factors such as your age. Nonetheless, children, adolescents, and adults can happily become polyglots whenever they wish or whenever their life circumstances requires them to do so. The difference relies on the parts of the brain that are used at each phase. If you are considering language lessons you shouldn’t be discouraged by your age or by how difficult a language may be. Still debating whether to enroll in a language class? Whether you opt for a simple or the most difficult language to learn, your brain could see immense benefit. Neuroscientific studies from the University of Mons, Belgium, have shown that bilingualism enhances some cognitive functions, especially in those who switch between languages as part of their daily life or those professionals who apply languages in their work fields such as translators and interpreters (where there is a time pressure factored in). Additionally, Ellen Bialystok’s neurological research shows that speaking two or more languages regularly creates new pathways in the mind, resulting in a healthier brain and even protecting against Alzheimer’s disease. 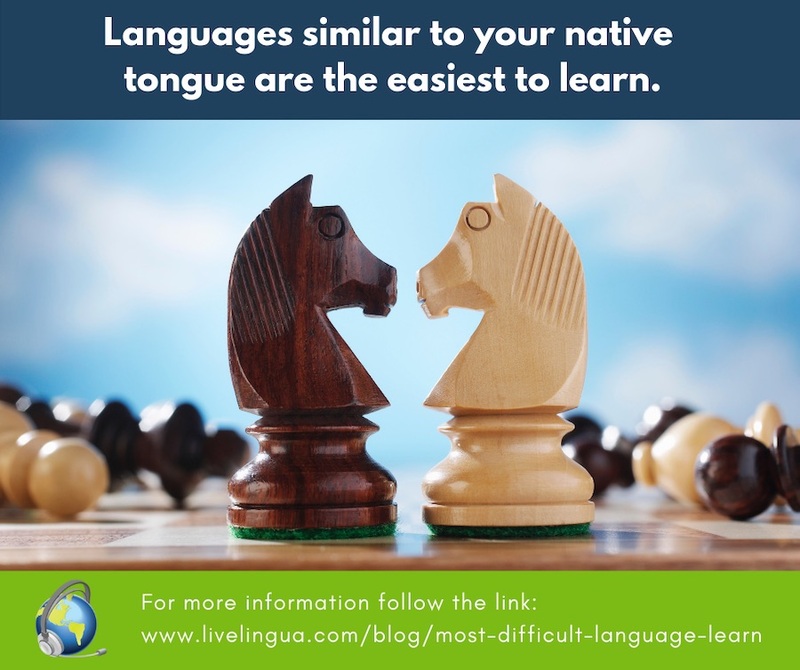 Whether you choose an easy language such as Spanish or a tougher one like Chinese, you should constantly practice speaking the studied language to fully gain the cognitive advantages! To make this process easier, selecting the right language school is imminent because each person has a unique learning style and identifying yours will definitively propel your multilingual ambitions! Are you up for the challenge of the most difficult language to learn? Become a smart polyglot today!